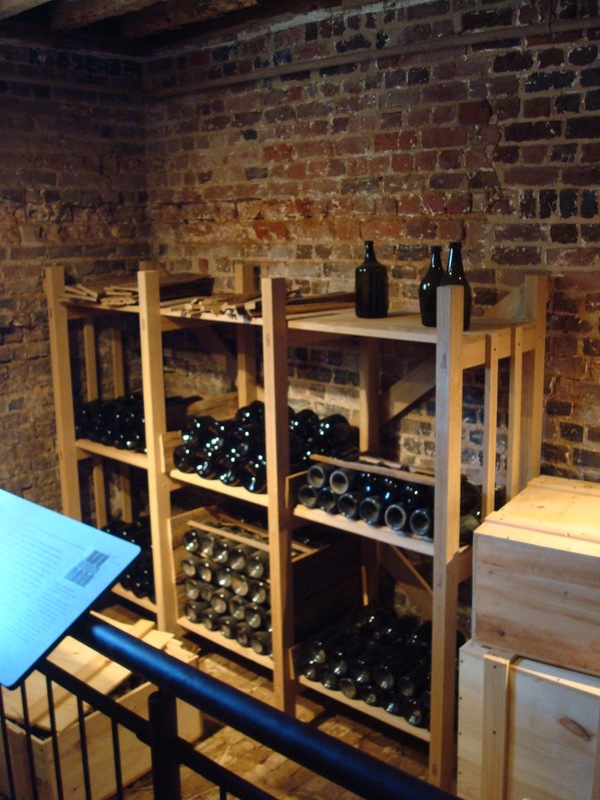 Throughout his life, Thomas Jefferson had many different wine cellars, including one at his boyhood home Shadwell that burned down in 1770, one at the Governor’s Mansion in Williamsburg, VA, two during his time in Paris, two known cellars at the White House, one at his vacation home Poplar Forest near Lynchburg, VA, one in Annapolis where he lived with James Monroe, and two at his primary residence, Monticello. Though not yet a ‘wine’ cellar, Jefferson had the first cellar at Monticello dugout in the fall of 1769 as noted in his account book for that year, ‘four good fellows, a lad and two girls of abt. 16 each in 8 ½ hours dug in my cellar of mountain clay a place 3 f. deep, 8 f. wide and 16 ½ f. long.’ (Hailman, p. 38). Since Monticello was a 40-year work in progress, this initial cellar was small compared to the larger cellar of Jefferson’s retirement years (1809-1826) located in the passageway under the house which measured 11′ 11″ x 17′ 18″; ceiling 9′ – 2″. Monticello wine cellar renovated in 2007/2008 as it looked during Jefferson's retirement years (1809-1826). Period appropriate bottles on shelves. 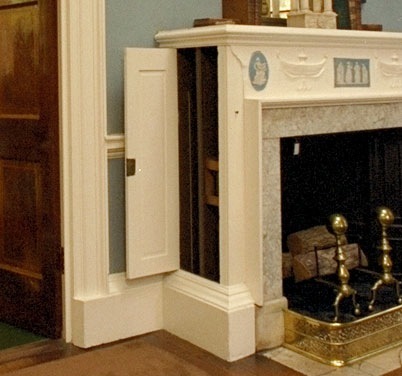 Always a man ahead of his time, Jefferson designed a dumbwaiter system for use at Monticello that allowed bottles to be discarded and replenished with minimal intrusion in the Dining Room during post meal conversations. The dumbwaiter has (had) four weight-and-pulley-driven wooden trolleys that rise through the cellar ceiling into the sides of the Dinning Room mantel. Each trolley operates independently. 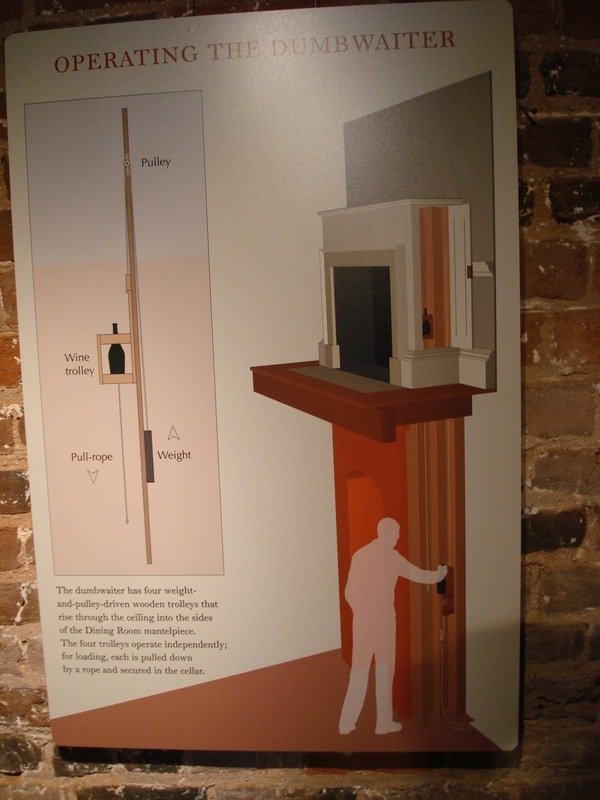 How the dumbwaiter works. Photo taken outside wine cellar at Monticello. Jefferson’s wine collection at Monticello was in a constant state of ebb and flow – from humble beginnings filled with Madeira and Lisbon wine, through the Bordeaux and Burgundy wines that made their way to the Monticello during Jefferson’s Presidency, to the simple wines of his retirement years. 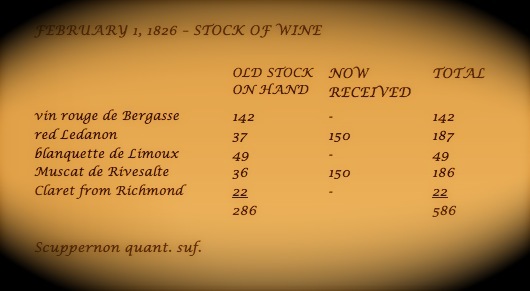 This last cellar list illustrates how Jefferson’s tastes changed – primarily a consequence of his economic circumstances – after his years as Minister in Paris and his eight years in the White House. Interesting that ‘claret’ was included in Jefferson’s final cellar – Jefferson was not fond of the out-dated term claret, and even advocated the term being abolished from the list of imported wine during his Presidency. Jefferson apparently was happy with the number of bottles of Scuppernong wine on hand during this final count. Historians speculate that Jefferson was too ill to count all of the bottles. Visit to Monticello, tour of wine cellar. Thomas Jefferson on Wine, John Hailman.